Hair loss can be the result of many reasons, improper diet, disease or genetic. If you really want to keep your hair far from any sort of damage and hair loss, then you must take care of them on regular basis. 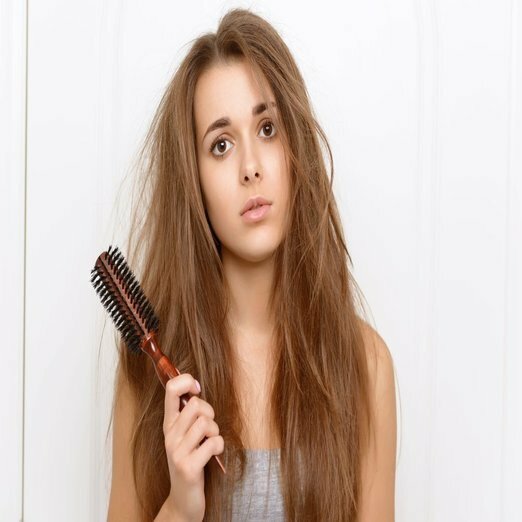 If you really want to safe-keep your hair from these type of damages for a long time, then you must follow these tips. Hereby natural resources, we mean by natural means such as proper diet. You must intake natural nutrients like zinc, protein and other types of nutrients through proper diet in order to keep your hair healthy. A balanced diet will definitely help you in keeping your hair stay thicker and healthier. Most of the time, you must take care of your rest of the body to prevent excessive hair loss. The other way through which you can keep the hair loss at bay is cleanliness. Make sure that you wash your hair at least once in a week. However, remember this point that does not over clean your head twice or more a day. Washing your hair properly will help you to remove dirt and excess oil from the hair. This will certainly help you in regaining your hair strength and growth. Here negative styling resembles some specific type of hair styling treatments that can cause damage to your hair. For example, complete blow dry your hair will affect cuticles of your hair that plays an important role in defending your hair from falling. Do not press excess of pressure on your hair, it will cause damage that will finally result in hair fall. Wet hair tends to fall and break easily. So, make sure you have got the right balance when styling your hair. So, you need to be extra cautious with your hair and prevent them exposing too much to the pollution and dampness. India is a country with full of heat and pollution. Make sure that your nutrient levels are full and your head scalp is clean as well.